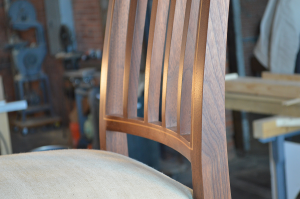 This tall back dining chair was designed by Edward Barnsley and was originally built in his shop in the Cottswold region of Great Britain. The finished used on Joe’s chair is Tried & True Varnish Oil. 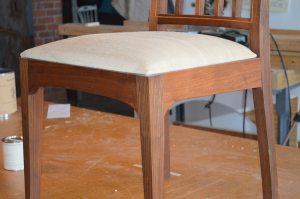 Aside from an occasional buffing with a soft cloth, the chair has not been touched since it was built in 1990. 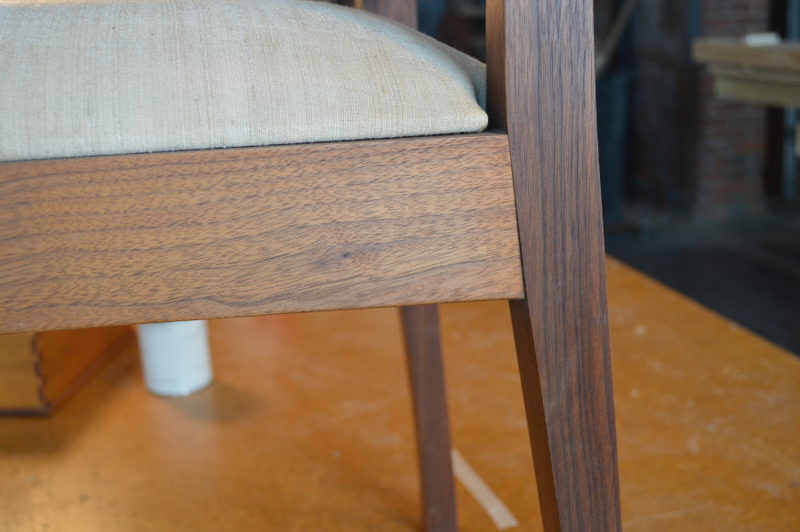 This demonstrates the longevity of Tried & True wood finishes, withstanding the wear and tear of everyday use while keeping the wood looking beautiful.